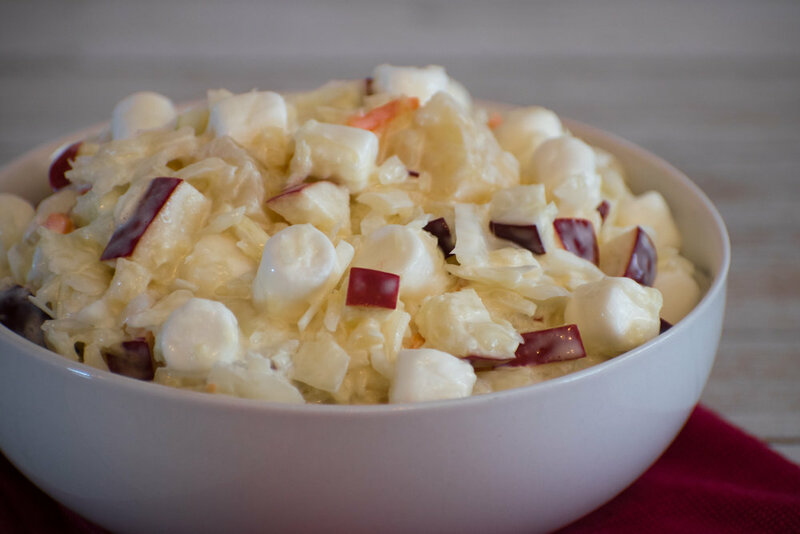 Our extra creamy coleslaw is transformed into a fruit slaw by adding fruit and marshmallows! Combine all ingredients. Chill to 33° to 39°F before serving.